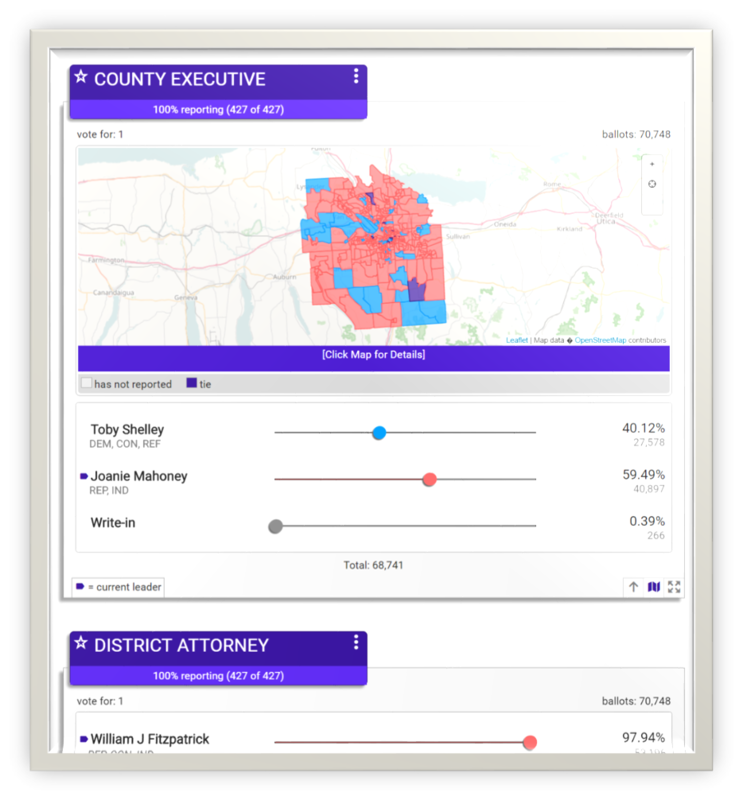 The election night results app that was born to wear the purple. How can we showcase your hardwork today? How are you showcasing all that hard work? The public and media outlets will never know how much effort goes into each and every election. As soon as voting has wrapped up you have one last chance to showcase your hard work to the public: election night results. With voters and the media pouring over the live results as they come in, how are you presenting your organization? Does it look clean? Modern? Does it work on smart devices? Or does it look tired and stale? Sure, you can justify oldie-moldie by saying "it works". But what if there was a solution that "just works" and looks beautiful and modern as well?